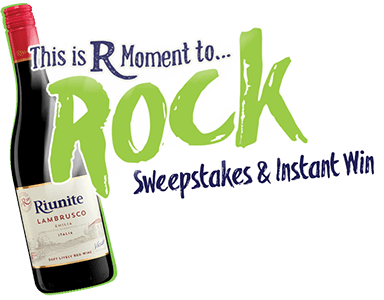 You can enter daily for your chance to win the Riunite This Is R Moment To Rock Sweepstakes! Ends May 1, 2019. Good Luck! One Thousand Eight Hundred (1,800) Ticketmaster Ticket Cash™ Instant Win Game Prizes each consisting of one (1) $15 Ticketmaster Ticket Cash™ code (“Code”). Nine Hundred (900) Ticketmaster Ticket Cash™ Instant Win Game Prizes each consisting of one (1) $25 Code. Four Hundred Fifty (450) Ticketmaster Ticket Cash™ Instant Win Game Prizes each consisting of one (1) $50 Code. Ninety (90) Ticketmaster Ticket Cash™ Instant Win Game Prizes each consisting of one (1) $100 Code. Thanks for posting contests. Last week I won a $15 Ticketmaster code from this one.